Generating Leads through LinkedIn is one of the primary ways to get a return from the platform. However there are subtle ways to do this. We can ATTRACT prospects. We can gain REFERRALS. And we can FIND prospects through Search. Check out the tips below. What’s Stopping you getting more from LinkedIn? Use our quick LinkedIn self-assessment to identify your key area(s) for improvement. Click NEXT below the progress bar for the next screen. GOALS - think of Goals not just in terms of Revenue but also Purpose, Positioning, Sales Activity, Asset creation and Learning. How clear are you about your goals, how inspiring are they, and how well do they guide your decisions? OUTSTANDING - goals are transformational, they inspire me and guide ambitious decisions. VALUE - how clear is your Value to Clients? How well do you understand your specialisation and expertise, and how clearly and comprehensively do you communicate it to others? POOR - I need to review and identify my value to clients in today's market. OK - My clients understand my value but I need to communicate beyond that circle. OUTSTANDING - I have become a Go-To person in my specialist area, in my sector / profession. PROOF - how substantial is the proof of your capabilities for the specialist area you are now focusing on? Does it include qualifications, testimonials, case studies with outcomes, published papers and more? How visible is this proof of your value? POOR - I have zero proof of my current value, specialisation or expertise and need to build from the ground up. OUTSTANDING - I have substantial proof of my specialisation and expertise, including books published and being a sought-after conference speaker. STORY - how well developed is your story? How engaging, powerful, memorable and shareable is it? And how frequently do you share it with key people to educate them? IDEAL CLIENT - how specific are you about who your ideal client is, and the issues or aspirations that you help them tackle or achieve? Do people in your network know what an ideal referral for you is? POOR - I haven't worked out who my ideal client is yet. I'll work with.for anyone. OUTSTANDING - I'm educating my network about WHO and WHEN is an Ideal Referral for me. ROLE MODELS - have you identified relevant role models who your target audience admire and respect? How much are you learning from them, and associating with them? WEAK - I have identified some 'Leaders' to follow, but they're not really relevant to what I offer. OK - I have identified relevant role models, and I am learning and benefiting from the association with them. STRONG - I have systematically identified half a dozen role models and analysed what they are doing to inform what I do. OUTSTANDING - I have very good relationships with my role models and they give me public recognition in return. PARTNERS - how well developed is your network of partners? Are you investing in and benefiting from being part of a virtual team? How valuable are your joint projects, on a two-way basis? POOR - I prefer to work alone, and haven't really got any 'partners'. WEAK - I have some 'business associates' but we don't really provide any professional support or collaboration to each other. OUTSTANDING - I have one or more partners where there is clear collaberation, from joint marketing, reciprocal referrals, regular joint bids and similar. PROCESSES - how well defined, documented, planned, communicated, executed and reviewed are your Business Development and Linkedin Processes? POOR - I don't use LinkedIn on a regular basis, and when I do it's on a very casual basis, in part because I'm not familiar with the platform. PROJECTS - how well defined, documented, planned, communicated, executed and reviewed are your Business Development Projects and Campaigns? POOR - I do not really have any business development or sales projects or campaigns to speak of as my clients come to me. STRONG - I have a schedule of business development projects and campaigns that I run regularly and that produce very good results. OUTSTANDING - I have identified some business development projects which I have outsourced, and others I am very capable of undertaking myself. TECHNOLOGY - how well defined, documented, planned, communicated, executed and reviewed are your Apps, Tools and Tech for Business Development? POOR - I don't use sales technology, preferring to use a notebook, rolodex, phone and similar low-tech methods. WEAK - I have a mix of apps and tools but rarely use them and wonder why I have them. STRONG - I have appropriate apps for CRM, email marketing, Social Media etc. and they help me to get more done and manage my time and pipeline well. OUTSTANDING - I regularly improve my apps and tools, and my skills and processes to improve productivity and pipeline and customer service. Congratulations - you've finished the self-assessment. Did you find the questions thought-provoking, to help you assess your business development. The clearer you are in each of these areas the more you'll be able to get value from LinkedIn. and receive your results by email. NB. The screen might take 3-5 seconds to refresh while your results are calculated. NB. Please TICK the GDPR checkbox in order to see your results. For GDPR Compliance, please TICK to agree you are willing to receive follow-up emails and for your responses to be stored on this system. What’s Stopping you from getting more from LinkedIn? Discover how to get more from LinkedIn, as an Expert or a Specialist. LinkedIn has HUGE potential to help us Attract, Find and Engage Clients, and WIN business. However there are many reasons why we may be frustrated and disappointed. As an Expert you know how to advise clients in your specialist area. Which is why I’ve developed the LinkedWIN Self-Assessment. What’s the Weakest Link for you when it comes to LinkedIn? In other areas of our lives, one mistake can be expensive! Preventing or avoiding mistakes is wise. Which is where experience and training matters. With LinkedIn and Business Development it’s not easy for us to identify what’s letting us down. That’s why I’ve designed and developed this LinkedWIN Self-Assessment tool. What’s the Value of Identifying and Fixing your weak link? How valuable would it be to identify the ONE THING that could be holding back your LinkedIn and Business Development results? Like the proverbial CHAIN – it’s the ONE WEAK LINK that negates the strength of all the other links. … Goals were driving your LinkedIn Business Development efforts, reducing wasted time? … Activity on LinkedIn was far more effective and productive, generating enquiries and referrals? … Identity and Value was communicated far more powerfully through LinkedIn, enhancing your reputation? … Network was full of your Ideal Clients, Partners and Role Models, enhancing your Net-Worth? There’s a lot to GAIN by taking the self-assessment. I’m an experienced Business Development Professional. And I’m an established independent LinkedIn Specialist. I help Experts and Specialists to be more successful with and through LinkedIn. I provide advice on Business Development strategy, Personal Branding and LinkedIn Training. Find out more about me on LinkedIn and on this website. I’ve narrowed the assessment down to just 10 questions. Use the Radio Buttons to give yourself a score from 1-10 on each question. NB. The results are best viewed when accessed from a PC rather than a mobile phone. Barely considered or thought about. Considered, but fairly vague and ill-defined. Defined and can be described, if asked. Defined and documented, as a strategy. Some progress being made along the planned direction. Good progress being made, and it’s being communicated with others. Good results are being achieved and others are seeing this. Consistent results achieved, which are reviewed and refinements are being made. Outstanding design, execution is embedded and consistent results are being achieved. … you may be about to discover something that makes a real difference to your success! 1. Goals - how well defined, documented, planned, communicated, executed and reviewed are your Goals? 2. Value - how clear is your Value to Clients? What do you find easy to do, based on how you think, and the way your brain is wired? And how clearly is this communicated to your target audience(s)? 3. Proof - how substantial is the proof of your capabilities? Does it include qualifications, testimonials, case studies with outcomes, published papers and more? How visible is this proof of your value? 4. Story - how well developed is your story? How engaging, powerful, memorable and shareable is it? And how frequently do you share it with key people to educate them? 5. Ideal Client - how specific are you about who your ideal client is, and the issues or aspirations that you help them tackle or achieve? Do people in your network know what an ideal referral for you is? 6. Role Models - have you identified relevant role models who your target audience admire and respect? How much are you learning from them, and associating with them? 7. Partners - how well developed is your network of partners? Are you investing in and benefiting from being part of a virtual team? How valuable are your joint projects, on a two-way basis? 8. Processes - how well defined and executed are your daily, weekly and monthly LinkedIn and Business Development processes? Are you regularly enhancing your reputation, developing your network and building your sales pipeline? 9. Projects - how well structured are your Business Development Projects and Campaigns? Are you regularly boosting your network, content, engagement and reputation? 10. Technology - how well defined, documented, planned, communicated, executed and reviewed are your Apps, Tools and Tech for Business Development? Enter a comment or question here. Look at the LOW scores. Can you identify actions to improve these areas quickly? Look at the HIGH scores. Congratulations! 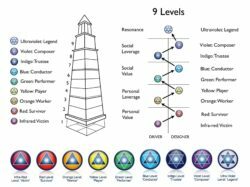 Can you raise other areas to a similar level? For an email copy for your records enter your Name and Email below, then Submit your answers to me. … how about some guidance on how to tackle them? I can give you advice and recommendations that will save you time and help you improve your results rapidly. NB. The results are best viewed when accessed from a desktop or laptop rather than a mobile phone. There’s just TEN questions with a multiple choice 1-10 response for you to provide. Then click on the Next text at the bottom (or Previous to go back). Hover over the Hint for additional information.